If you've had your fill of the rat race and are heading to Hamilton, consider choosing a happening place to hang your hat within a short driving distance of Paris. lastminute.co.nz has a range of options. 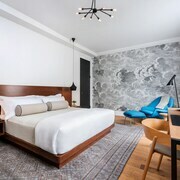 The Arlington Hotel Paris is a popular accommodation choice because it is located so conveniently to Paris's centre. 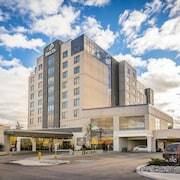 You could check out the Homewood Suites by Hilton Cambridge Waterloo Ontario and also the Best Western Plus Brant Park Inn & Conference Centre. 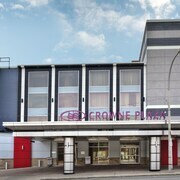 The Homewood Suites by Hilton Cambridge Waterloo Ontario is positioned 25 kilometres from the middle of Paris. 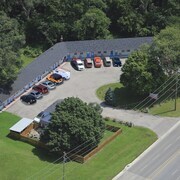 The Best Western Plus Brant Park Inn & Conference Centre is located 12 kilometres away. 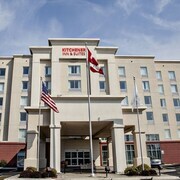 Two other places to stay include the Hampton Inn & Suites by Hilton Kitchener and the Holiday Inn Kitchener-Waterloo Conference Center. While you are in Paris, take the time to visit the other great attractions Southern Ontario has to offer. Southern Ontario boasts beaches. 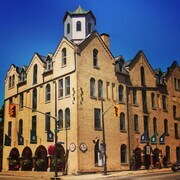 Popular Southern Ontario visitor destinations are the traditional villages, churches and art museums. Travellers in this region of Canada can enjoy skiing, cross-country skiing and snow shoeing. 50 kilometres to the east of Paris you'll find Burlington, where you can explore the Royal Botanical Gardens and Burlington Art Centre. Some of our recommended Burlington hotels are the Waterfront Hotel Downtown Burlington and Holiday Inn Burlington Hotel & Conference Centre. Or, you could stay in Grimsby, 65 kilometres to the east of Paris, where you'll find the Casablanca Winery Inn and Super 8 Motel- Grimsby, On. While in Grimsby, you might like to visit the Peach King Centre and Gateway Niagara Information Centre. Australia has some of the world's greatest sports lovers, so why not indulge with a visit to Woodbine Racetrack? Find Woodbine Racetrack 85 kilometres to the northeast of Paris. 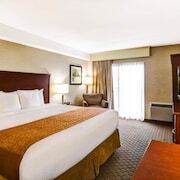 For those who are interested in booking a room nearby, make a reservation at the Sheraton Gateway Hotel In Toronto International Airport or the Residence Inn by Marriott Toronto Airport. Thank you for taking the time to explore our Paris hotels. When you're ready to hit the road to adventure, lastminute.co.nz is waiting to take off with you.